When given the opportunity, most kids will jump at the chance to get their hands on a camera and start taking pictures. And if you show them a few basics, and don't restrict them to cameras made just for kids, you may inspire a new artistic hobby. Spring is a great time to get started. Your kids can take pictures of grass peaking out from patches of snow, sprouts popping up from the earth for the first time, blossoms in bloom, new baby animals, rain showers and more. Photography is a great way for children to document their travels, favorite pets, friends and activities that they have really enjoyed - giving them a permanent and personal record of these memories. 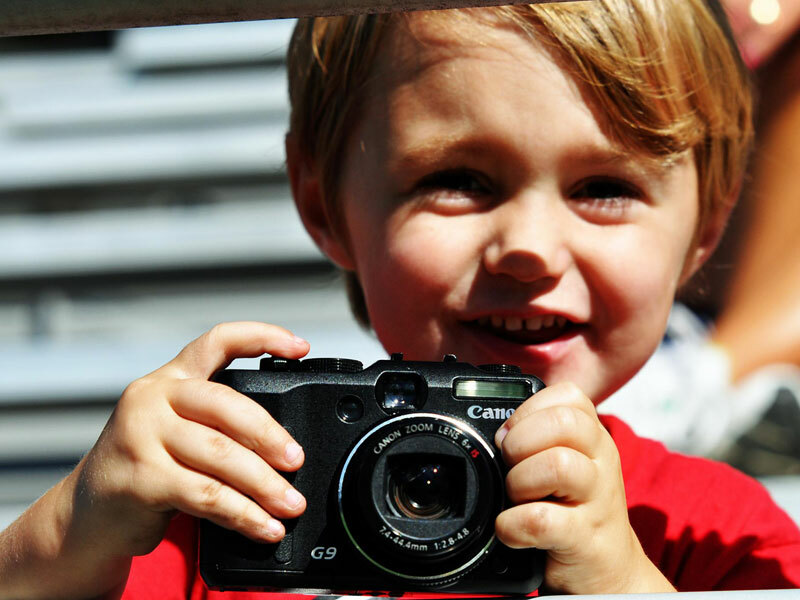 Read on to learn seven ways to get your child excited about digital photography. 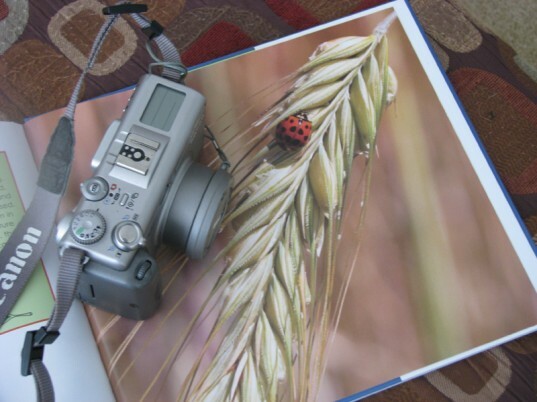 A great way to get children immediately excited about photography is by introducing it to them in the form a good book. If your first photography adventure is going to be spent capturing pictures of spring, then find a book focused on that subject. Show your child the different photographs in the book and tell them to imagine finding and snapping pictures that are similar to these. It is a great way to give your child a picture connection to what they will be experiencing once you set out. The quickest way to get your child immediately interested in photography is by giving them their own camera. 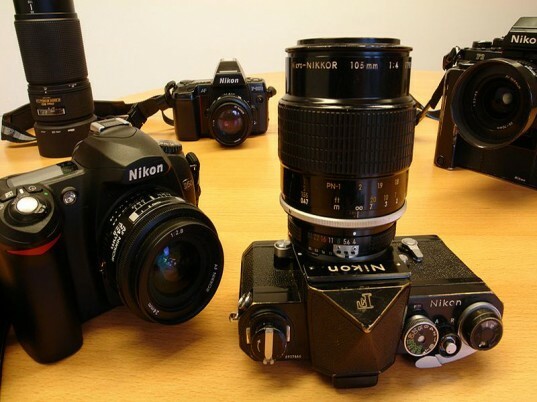 It doesn’t have to be expensive – a great second hand camera or one that you no longer use will be perfect. By presenting the camera as a gift, it adds a magical element to it, making it special. The next thing you know, your child will be asking you questions on how to use it and will be snapping pictures of everything in site. Give your child creative freedom for their first photo opportunity. Let them arrange their toys, pets or family members any way that they choose. Then, encourage them to start snapping. Another great option is to just set them free at home to take pictures of anything that catches their eye. The idea is to get them excited about taking the photos first – regardless of the quality. My son especially enjoys taking up close and personal shots of our dogs. There are many great photography classes available that are specifically designed with children in mind. Another option is to take a photography class with your child or enroll siblings or best friends in a photography workshop together. Learning about the many different aspects of photography will only enhance their experience and pull them further into the excitement of photography. Once your child knows the basics of using their camera and has taken several rounds of pictures at home or even taken a photography class – it’s time to take your photography outside. Plan a special trip with the sole purpose of taking fantastic shots – I like to pick an excursion that includes animals. Springtime is the perfect time to get outside to record the change in season. 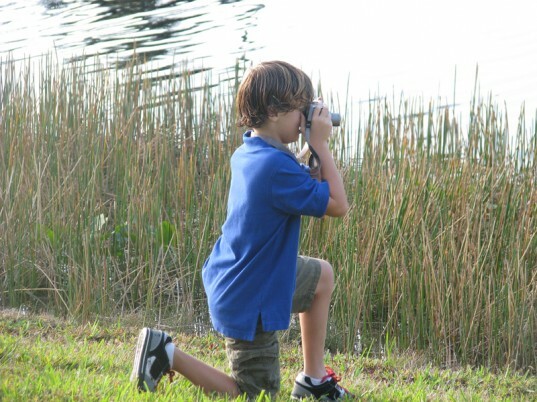 Whether you spend a day on the nature trail, take a trip to the local park or spend an afternoon snapping away at the local nature center – you want to get your child thinking of photography as a type of media that they create, not just something that they consume. Once your child has several photos that they are excited about, take a few minutes to teach them the basics of fixing and enhancing their photos. Simple techniques such as; cropping, removing red eye, enhancing the brightness and colors as well as changing the photo from color to black and white or sepia, is really interesting to children. They love to manipulate things and will find the changes that they are able to make to their photos exciting. 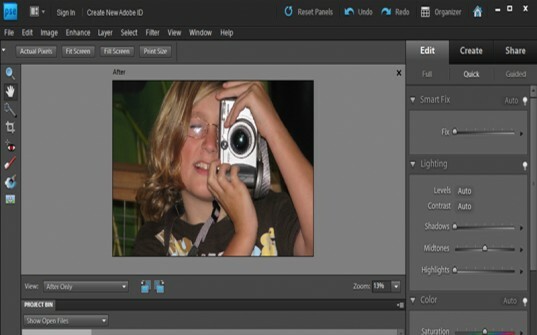 Once your child has fixed and enhanced the photos that they are most proud of, help them share their art with others. Getting positive feedback from friends and family will only make your child more interested in photography. A great way to get started is by uploading them to your favorite social media platform or Flickr account. Other options are to print larger versions of their prints and frame them as artwork in your home, arrange several online to have printed in a photo book, or even help them build their own portfolio to take with them to share with others. The quickest way to get your child immediately interested in photography is by giving them their own camera. It doesn't have to be expensive - a great second hand camera or one that you no longer use will be perfect. By presenting the camera as a gift, it adds a magical element to it, making it special. The next thing you know, your child will be asking you questions on how to use it and will be snapping pictures of everything in site. Give your child creative freedom for their first photo opportunity. Let them arrange their toys, pets or family members any way that they choose. Then, encourage them to start snapping. Another great option is to just set them free at home to take pictures of anything that catches their eye. The idea is to get them excited about taking the photos first - regardless of the quality. 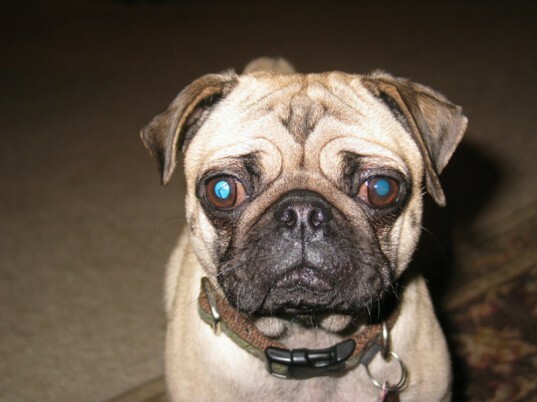 My son especially enjoys taking up close and personal shots of our dogs. Once your child knows the basics of using their camera and has taken several rounds of pictures at home or even taken a photography class - it's time to take your photography outside. Plan a special trip with the sole purpose of taking fantastic shots - I like to pick an excursion that includes animals. Springtime is the perfect time to get outside to record the change in season. Whether you spend a day on the nature trail, take a trip to the local park or spend an afternoon snapping away at the local nature center - you want to get your child thinking of photography as a type of media that they create, not just something that they consume.